Master parable writer Edward Hays has here woven a work that intrigues both the would-be detective and the hidden saint within each of us. It's a story about St. George (the St. stands for SenT, ServanT and SainT-to-be). Feeling the need for a brief sabbatical from his daily grind, George goes on a pilgrimage of sorts. He is led to Mama Mahatma's boarding house, and in its attic finds an old Edison Magic Lantern. He soon realizes that the lantern is indeed magic, that it has the capacity to project moving picture parable stories that keep him growing on his spiritual journey. With his newfound spiritual guide, SenT George is also drawn into an intriguing murder mystery. 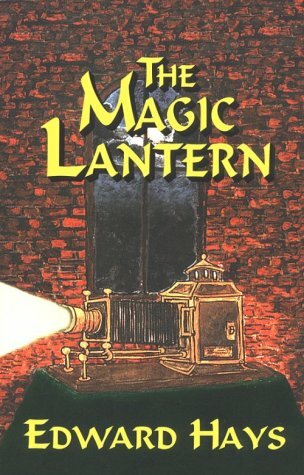 The Magic Lantern holds more than one mystery, however, for within the story are fifteen challenging original parables. You'll also enjoy Mama Mahatma's warm and cosmic wisdom, Inspector Bernadone's wit and amazing attention to detail, Father Fiasco's humorous and often strange spiritual way and the other engaging residents of Mama Mahatma's boarding house. The sleuth within you will be fascinated by the murder in the old Victorian mansion while the saint-to-be will be challenged to grow in the way of prayer and meditation as George struggles to walk the spiritual path in the midst of daily realities and responsibilities. This mystery story mirrors the struggle of all of us who seek the divine in the midst of daily life. The Lantern's parables within this story will guide you in how to be true to the quest in the middle of dirty dishes and laundry and amid conflicts among those with whom you live. For the real mystery is how not to lose heart in the often difficult and sometimes seemingly mundane search for God.